The latest developer release of Mac OS X 10.7 Lion excludes support for Rosetta (used to run PowerPC code on Intel Macs), Front Row, and Oracle's Java runtime, although Apple includes a mechanism to automatically download an updated Java runtime for Lion. Front Row, the TV-oriented media center playback system for Mac OS X, was first added to Macs in 2005, providing a simple living room-like display for albums in iPhoto, iTunes music and movies, and DVD playback. The functionality was isolated by the original Apple TV appliance in 2007, which then modified its interface later the following year, creating a schism between Apple TV and the Mac's Front Row app. It's therefore not entirely surprising that the Lion release lacks Front Row among its bundled apps. 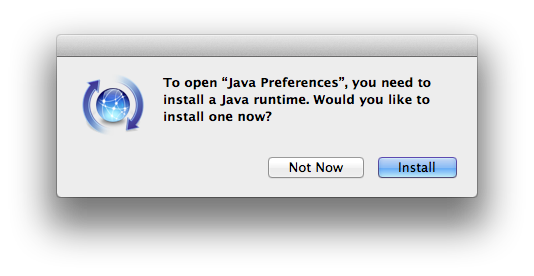 Also missing from Lion is a preinstalled Java runtime capable of executing "100% pure" Java apps. There are few examples of Java desktop apps in the wild, so most users won't notice. Not bundling the runtime will erase a large number of security vulnerabilities from the reported list of issues related to Mac OS X going forward however, as Java exists as a parallel platform to Apple's native Cocoa. When users attempt to run a Java app, Lion offers to look online for a version it can install, and will download and install a slightly newer version than is currently available for Snow Leopard today (1.6.0_24-b07-329, rather than 1.6.0_22-b04-307). Apple announced earlier that it would be working with Oracle to divest itself of maintenance of the Java platform on Macs, setting up a new OpenJDK Project for Java on Mac OS X going forward, starting with the release of Java SE 7. 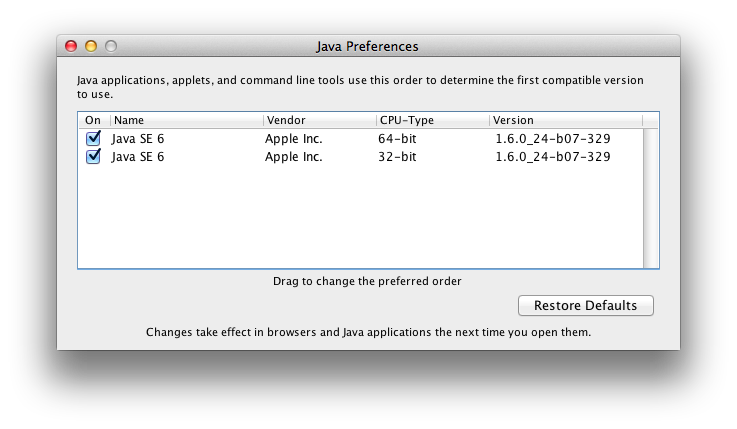 Apple noted that the Java runtime may be removed from future versions of its operating system, and it appears that will be the case with Lion, albeit with a rather painless install option for users who need it. While Apple dropped support for running Mac OS X 10.6 Snow Leopard on PowerPC Macs, 10.7 Lion will remove support for running PowerPC code on the new machines via Rosetta, a translation bridge that enabled Intel Macs to continue to run old software. Rosetta was not installed by default in Snow Leopard, but could be installed by users who needed to run old programs that had not yet been updated to run natively on Intel Macs. In Lion, Rosetta support is gone entirely, spelling the end of the line for PowerPC as an architecture. Apple has already restricted Mac App Store titles to Intel code, leaving PowerPC support abandoned along with Motorola 68000 code.